We actively try to keep in touch with our graduates to monitor how our MSc course may have influenced their career progression. We're continually updating this page, so please keep checking back for the latest information. Since 2008, a total of 141 students have graduated from the course, of whom 27 have obtained a ‘Distinction’. Analysis of our graduate destinations for cohorts 1-9 (2008-2016) shows 32% hold positions in embryology (either as Laboratory Director, Trainee Embryologist or Andrologist), 29% continued with a PhD or hold a research position, 26% have either begun training as a clinician or returned to medicine, and 13% have ventured into other fields. Fourteen of our graduates have registered for DPhil degrees with the department and of these, six have attracted funding from the Clarendon Scholarship Scheme. Miss Neeta Bala: PhD student, Mount Sinai School of Medicine, New York, USA. Miss Joie Guner: Resident Physician, Obstetrics & Gynaecology, Baylor College of Medicine, USA. Miss Dimitra Nikiforaki: PhD student, Department of Reproductive Medicine, Ghent University Hospital, Belgium. Mrs Sze Tian Tee: Head of Department, IVF Laboratory, TMC Fertility Centre, Malaysia. Mrs Carol Ibe: PhD student, University of Cambridge, UK. Miss Bianka Seres: PhD student, University of Cambridge, UK. Miss Xue-Fang Goh: Trainee Embryologist, Singapore. Mr Gustavo German: PhD student, Harvard University, USA. Miss Hannah Spencer: Research Assistant, University of Virginia, USA. Dr Nicole Krzys: Clinical medicine, Australia. Miss Saloni Patel: PhD student, Edinburgh University, UK. Miss Ariane Heynen: Embryologist, Sydney, Australia. Mrs Mennatallah Aboul Serour: Embryologist, Egypt. Mr Benjamin Taiwo: PhD student, Birmingham University, UK. Dr Vinod Motiani: Tissue Coordinator, Nuffield Department of Clinical Neurosciences, University of Oxford, UK. Mr Ioannis Ladas: PhD student, University of Cardiff, UK. Mrs Sourima Biswas Shivhare: Post-Doctoral Research Fellow, Max Planck Institute of Biochemistry, Munich, Germany. Miss Naki Adjirackor: Trainee Embryologist, University College, London Hospital, UK. Miss Anita Kuo: Chief Embryologist, Victory ART, Hong Kong. Miss Alyssa Thanh Trinh: Senior Clinical Embryologist, Cleveland Clinic Fertility Centre, Ohio, USA. Miss Robyn O'Leary: Embryologist, Fertility Centre of New England, Massachusetts, USA. Miss Irem Ozcan: Trainee Embryologist, Centre for Reproduction and Gynaecology Wales, UK. Miss Sevanna Shahbazian: Trainee Embryologist, Oxford Fertility, UK. Miss Anam Ovais: Trainee Embryologist, Canada. Mr Christodoulos Christodoulou: PGD Specialist, Department of Reproductive Medicine, Ghent University Hospital, Belgium. Miss Su Lin Oo: Senior Clinical Embryologist, Victory ART, Hong Kong. Dr Natalia Barkalina: Medical Writer, London, UK. Dr Elnur Babayev: Post-Doctoral Fellow, Yale University, USA. Mr Hani Bagheri: Research Assistant, Vancouver, British Columbia, Canada. Dr Pedro Senra Estrela Melo: Research Assistant, Nuffield Department of Obstetrics & Gynaecology, University of Oxford, UK. Mrs Nada Aman: Senior Embryologist, National Guard Hospital, Saudi Arabia. Miss Akanksha Mishra: IVF Laboratory Director, India. Dr Hannah Wills: Speciality Trainee in Obstetrics and Gynaecology, Brisbane, Australia. Miss Megan Bowles: Trainee Embryologist, Olive Fertility Centre, Vancouver, Canada. Mr Yannick Ferreira: Trainee Embryologist, Quebec, Canada. Miss Katerina Menelaou: PhD student, Department of Physiology, Development and Neuroscience, University of Cambridge, UK. Dr Nana Yaa Seiwaa Opare: Specialist Trainee in Obstetrics & Gynaecology, Oxford Deanery, UK. Miss Kirah Hahn: Researcher, CReATe Fertility Centre, Toronto, Canada. Dr Devika Chopre: Clinical Associate, Bloom IVF Group, India. Mr Timothy Chan: Investment Banker, J.P. Morgan, London, UK. Dr Biswanath Ghosh: Resident, IVF unit, GD Institute for Fertility Research, Kolkata, India. Miss Siti Nornadhirah Amdani: D. Phil student, Nuffield Department of Obstetrics & Gynaecology, University of Oxford, UK. Miss Sarah Francis: PhD student, University of Durham. UK. 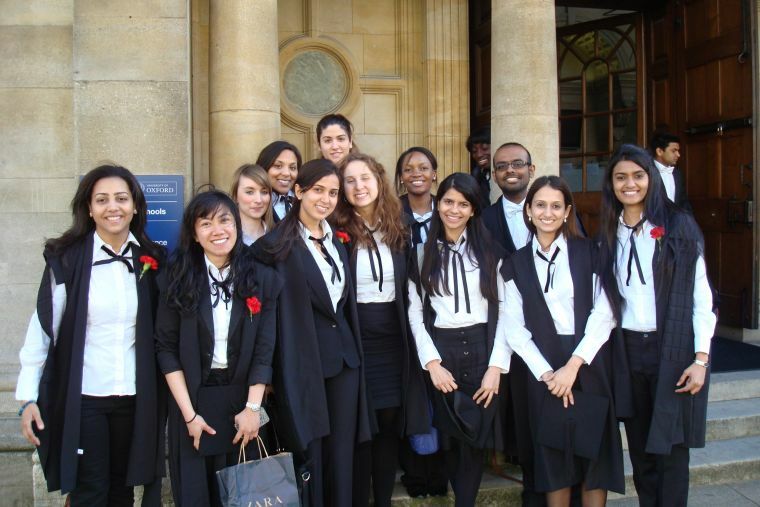 Miss Sylvia Shahjahan: Medical School, London, UK. Miss Dhruti Babariya: D.Phil student, Nuffield Department of Obstetrics & Gynaecology, University of Oxford, UK. Miss Ankita Upadhye: Trainee Clinical Embryologist, Cleveland Clinic Fertility Centre, Ohio, USA. Dr Chidambra Dhariwal: Assistant Professor, All Saints, University School of Medicine, Dominica. Miss Charis Charalambous: Student in Fashion Design, Parsons, New York, USA. Dr Ragia Nour El Din Hassan: Director, IVF unit, Galaa Military Medical Complex, Cairo, Egypt. Miss Rucha Khunte: Clinical Embryologist, Mumbai Fertility Clinic, India. Mr Christos Kyprianou: PhD student, University of Cambridge, UK. Miss Lien Davidson: D.Phil student, Nuffield Department of Obstetrics & Gynaecology, University of Oxford, UK. Miss Belinda Lo: D.Phil student, Nuffield Department of Obstetrics & Gynaecology, University of Oxford, UK. Miss Pavinder Gill: Trainee Clinical Embryologist, Cleveland Clinic Fertility Centre, Ohio, USA. Dr Vishakha Koli Lakhani: Clinician, Obstetrics and Gynaecology, Jay Hospital, Portubandar, Gujarat, India. Miss Laura Gemmell: Medical student, Case Western Medical School, USA. Mr Tom Wilkinson: Trainee Clinical Embryologist, Boston Place Fertility Clinic, London. Dr Zeynep Findikoglu: D.Phil student, Nuffield Department of Obstetrics & Gynaecology, University of Oxford, UK. Miss Charlotte Walker: D.Phil student, Nuffield Department of Obstetrics & Gynaecology, University of Oxford, UK. Dr Jehan Karim: Obstetrics and Gynaecology Medical Resident, McMaster University, Canada. Miss Parita Panchamiya: Junior Embryologist, Nova IVI, India. Dr Perita Amakiri: Clinical medicine, UK. Miss leva Masliukaite: PhD student, Academic Medical Center, University of Amsterdam, The Netherlands. Mr Daniel Kaali - Manager of a group of IVF clinics, Hungary. Mrs Daria Svistunova: D.Phil student at the Department of Physiology, Anatomy and Genetics, University of Oxford, UK. Miss Nada Kubikova: Laboratory Technician, Reprogenetics, UK. Miss Helena Rodriguez Caro: D.Phil student, Nuffield Department of Obstetrics & Gynaecology, University of Oxford, UK. Miss Taylor Kline: MD Programme, University of Queensland, Australia. Miss Rita Al- Onaizan: D.Phil student, Department of Physiology, Anatomy and Genetics, University of Oxford, UK. Miss Kirtirupa Nandi: Trainee Embryologist at NOVA IVI, New Delhi, India. Miss Eleni Palaiologou: PhD Student at the University of Southampton, UK. Miss Bríet Bjarkadóttir: Trainee Embryologist, IVF klíníkin, Reykjavík, Iceland. Dr Catherine Bear: Clinical Medicine, UK. Miss Megan Leaver: D.Phil student, Nuffield Department of Women's & Reproductive Health, University of Oxford, UK. Miss Lucy Benham Whyte: Trainee Embryologist, UK. Miss Barbara Dietrick: Medical School, Maryland, USA. Dr Anthea Mahesan Paul: Clinical Medicine, Ottawa, Canada. Dr Kate Kelly: Clinical Medicine, UK. Miss Sofya Mahmud: Trainee Embryologist, UK. Miss Maria Carolina Correia: Clinical Trials Approvals Officer, Novo Nordisk, UK. Miss Saeideh Amini: Healthcare Assistant, IVF Unit, London, UK. Miss Ricci Allen: Medical School, University of Central Florida, USA. Miss Cherlyn Tan: Research Assistant, National Cancer Centre, Singapore. Miss Chloe Laverack: Athlete (Rower), Leander Club, Henley-on-Thames, UK. Dr Natnita Mattawanon: Reproductive Specialist, Chiang Mai IVF Unit and Lecturer in Obstetrics & Gynaecology, Faculty of Medicine, Chiang Mai University, Thailand. Miss Srishti Sawhney: Marketing Associate in Medical Diagnostics, Delhi, India. Miss Chloe O'Hara: Research Coordinator, Melbourne, Australia. Miss Ashmika Korivi: Trainee Embryologist, India. YEAR 10 (2017/2018): FROM A CLASS OF 15 STUDENTS. Dr Evangelia Myttaraki: Clinical Medicine, UK. Dr Thomas Yeung: Clinical Medicine, Australia. Miss Savni Sawant: Trainee Embryologist, IVI Mumbai, India. Dr Anthony Kayiira: Trainee Embryologist & Clinical Fellow in Reproductive Medicine, Lifesure Fertility Center, Uganda. Miss Stephanie Dolling: Laboratory Technician, Osler Diagnostics, UK.